"Every morning I jump out of bed and step on a land mine. The land mine is me. After the explosion, I spend the rest of the day putting the pieces back together. Now, it's your turn. Jump!" Zest. Gusto. Curiosity. These are the qualities every writer must have, as well as a spirit of adventure. In this exuberant book, the incomparable Ray Bradbury shares the wisdom, experience, and excitement of a lifetime of writing. Here are practical tips on the art of writing from a master of the craft - everything from finding original ideas to developing your own voice and style - as well as the inside story of Bradbury's own remarkable career as a prolific author of novels, stories, poems, films, and plays. Zen in the Art of Writing is more than just a how-to manual for the would-be writer: it is a celebration of the act of writing itself that will delight, impassion, and inspire the writer in you. In it, Bradbury encourages us to follow the unique path of our instincts and enthusiasms to the place where our inner genius dwells, and he shows that success as a writer depends on how well you know one subject: your own life. J.R.R. Tolkien's complete artwork for The Hobbit, presented for the first time in this edition. When J.R.R. Tolkien wrote The Hobbit, he was already an accomplished amateur artist, and drew illustrations for his book while it was still in manuscript. The Hobbit as first printed had ten black-and-white pictures, two maps, and binding and dust jacket designs by its author. Later, Tolkien also painted five scenes for color plates, which comprise some of his best work. His illustrations for The Hobbit add an extra dimension to that remarkable book, and have long influenced how readers imagine Bilbo Baggins and his world. Written and edited by leading Tolkien experts Wayne G. Hammond and Christina Scull, The Art of The Hobbitby J.R.R. 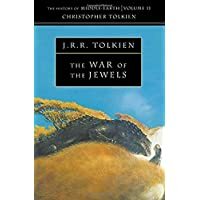 Tolkien showcases the complete artwork created by the author for his story--including related pictures, more than one hundred sketches, drawings, paintings, maps, and plans. Some of these images are published here for the first time, others for the first time in color, allowing Tolkien's Hobbit pictures to be seen completely and more vividly than ever before. An inspiring look at the creative processC.S. Lewis, J.R.R. 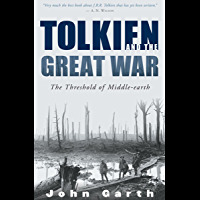 Tolkien, and the Inklings met each week to read and discuss each other's work-in-progress, offering both encouragement and blistering critique. How did these conversations shape the books they were writing? How does creative collaboration enhance individual talent? 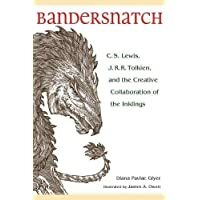 And what can we learn from their example?Featuring full-page illustrations by James A. Owen, Bandersnatch offers an inside look at the Inklings of Oxford, and a seat at their table at the Eagle and Child pub. It shows how encouragement and criticism made all the difference in The Lord of the Rings, The Chronicles of Narnia, and dozens of other books written by the members of their circle. You'll learn what made these writers tick, and more: inspired by their example, you'll discover how collaboration can help your own creative process and lead to genius breakthroughs in whatever work you do. 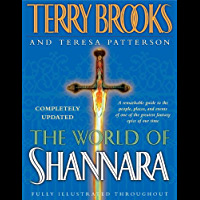 The beloved Shannara series by #1 New York Times bestselling author Terry Brooks is universally acclaimed as a towering achievement, an unquestioned masterpiece in fantasy literature. Now, for the first time, all the wonders of Shannara have been gathered into one single, indispensable volume in which Terry Brooks shares candid views on his creation. 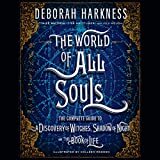 Lavishly illustrated with full-color paintings and black-and-white drawings, this comprehensive guide ventures behind the scenes to explore the history, the people, the places, the major events, and of course the magic, of one of the world's greatest fantasy epics.What sets Terry Brooks apart? 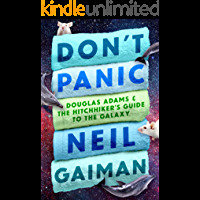 Is it a knack for creating complex, unforgettable characters like Allanon the Druid, Shea Ohmsford, and Amberle the elven-maid--men and women, gnomes and wizards, who come alive on the page and in our hearts? Is it the haunting and utterly believable evil of his darker creations: the foul Dagda Mor, the insanely murderous Jachyra, the enigmatic Ilse Witch? Or is it the way his adventures effortlessly partake of the timeless quality of myth? Whatever the secret of Brooks's storytelling magic, generations of readers have fallen under its spell, returning again and again to the pages of beloved classics like The Elfstones of Shannara and The Druid of Shannara, and relishing his newest novels in the Voyage of the Jerle Shannara saga.Sure to tantalize and delight old fans and newcomers alike, The World of Shannara is the ultimate gateway into the fantasy realms of Terry Brooks--and the perfect companion to take along on the journey of a lifetime.